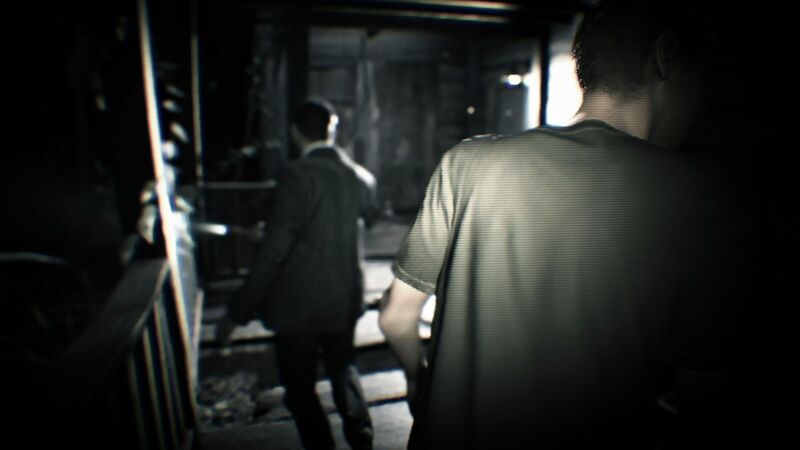 Resident Evil 7 is a classic reinvention of the revered franchise. 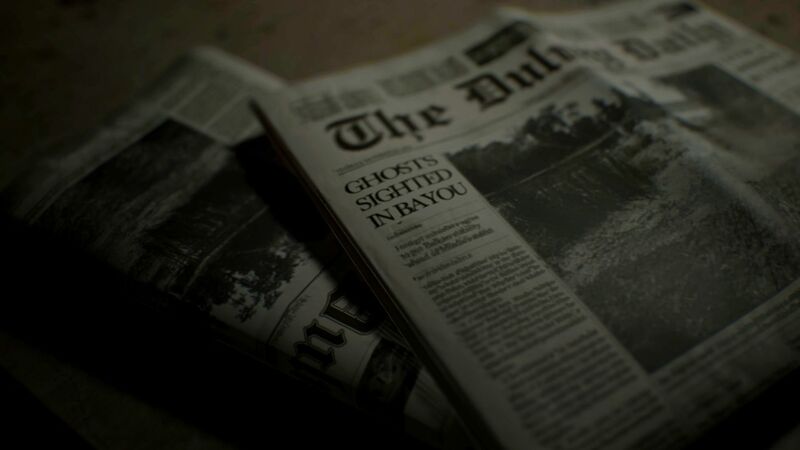 Even an overblown story can't derail a triumphant return to form for the masters of horror. 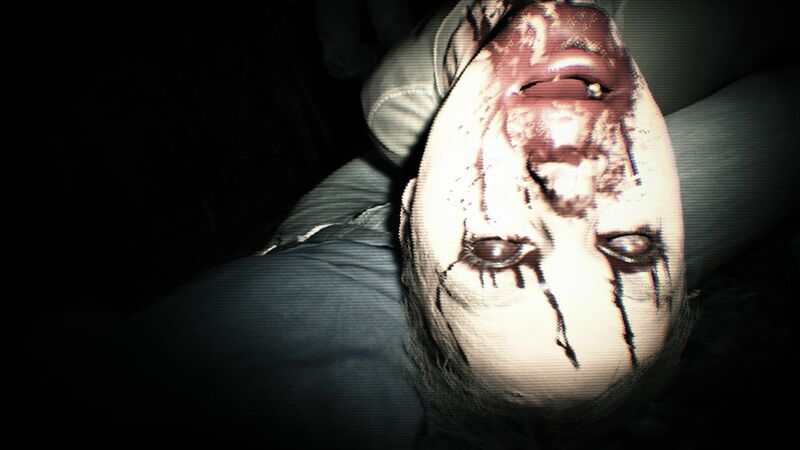 If the Resident Evil games of yesteryear were trying to ape big-budget Hollywood movies, Resident Evil 7 is a blood-spattered HBO miniseries. It’s a work of art, zooming in on a single man trying to save his wife from the clutches of a cannibal family (the Bakers), and takes place over an exhausting day within the Baker’s home and outbuildings. The focus is on the individual – you – not the ensemble and the adventure that results is both a reinvention of the classic franchise and a superb slice of self-contained horror. The sprawling house of horrors that plays host to your nightmarish evening will surely rank as one of the joys of the year. 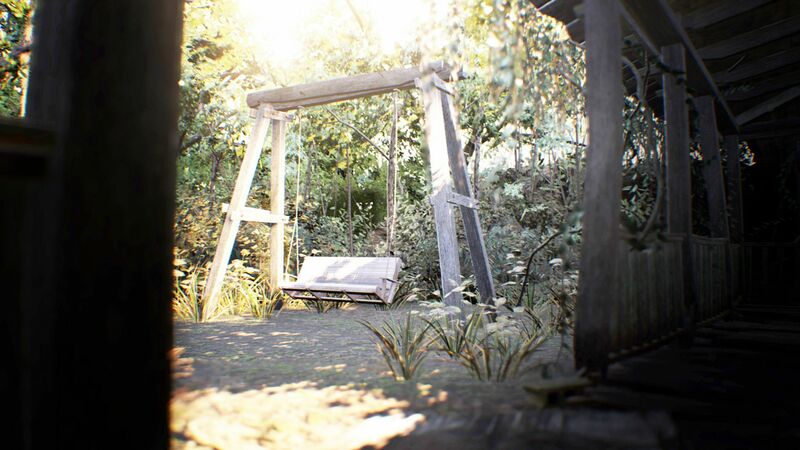 Heck, if there’s been a better-realized setting for a video game in the last decade I haven’t seen it, and from a technical perspective alone, the results are staggering. 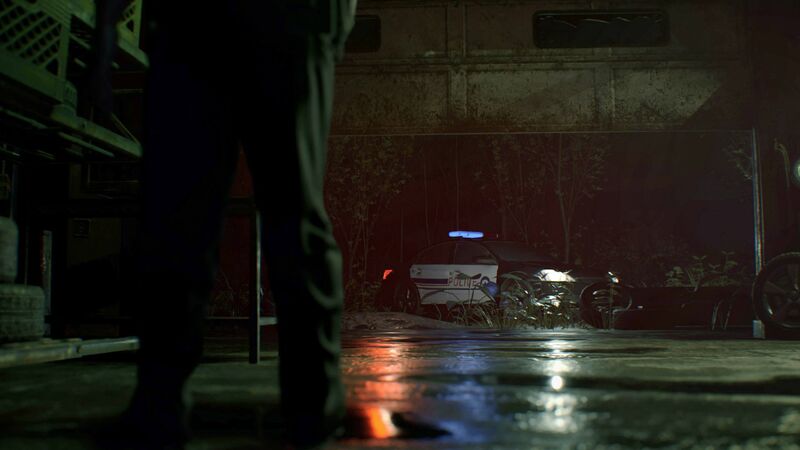 Take the way the game seamlessly unfolds, with no pauses to load as you move between zones, or the moody use of lighting and sound. 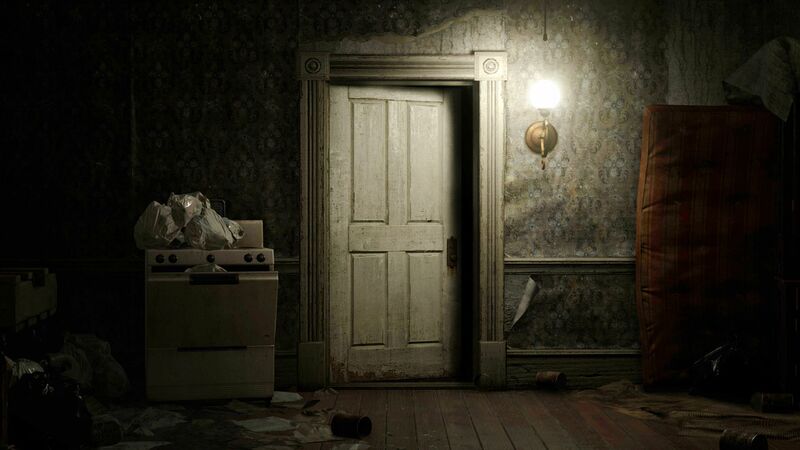 But more impressive is the manner in which Capcom’s artists give a trope like the haunted house so much texture. 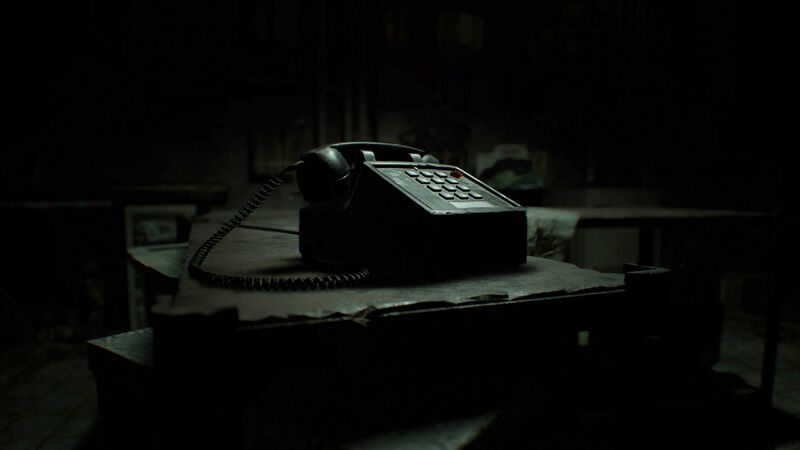 From the macabre depths of the Bakers’ basement to the eerie hush of the yard, this is award-winning work, and every area is memorable, to the extent you could put the game down for six months and still call to mind individual rooms from the compound. Old VHS video tapes flesh out what’s been going on prior to your arrival while technical details shine on the screen. Shadows are best-in-class, textures reek of moisture and the world is dripping in atmosphere. 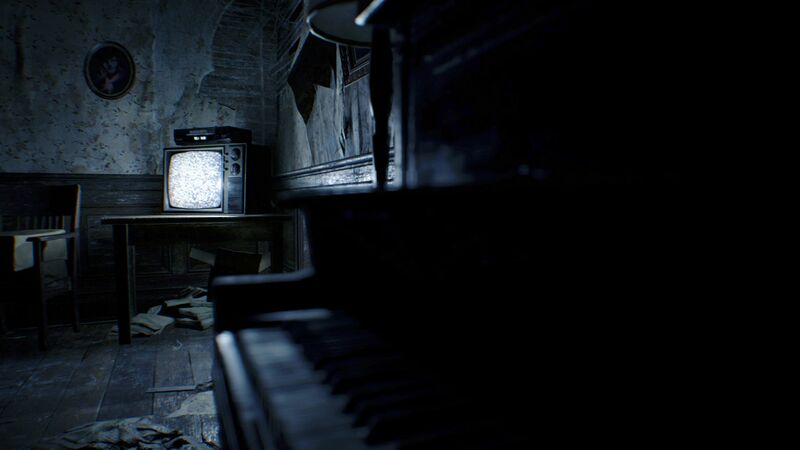 You can almost taste the horrors that have unfolded in this home and Resident Evil 7 is capable of inspiring a sort of visceral terror that turns your blood cold. Despite the setting, this is not an open world. 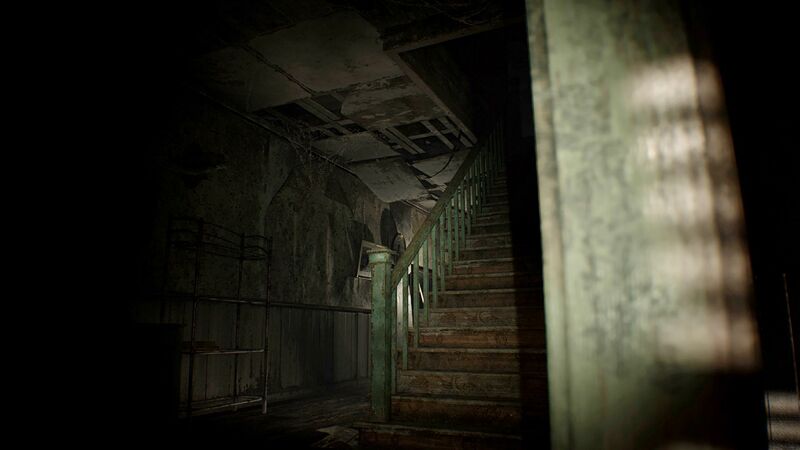 Capcom uses its beautifully interconnected level design to keep you on a leash without ever making you feel constrained. Lesser developers would bungle the execution, but here, even a deadly sin like backtracking doesn’t derail the fun. Instead, revisiting locations feels like an entirely plausible task, expertly stitched into the fabric of the story so that the seams don’t show. 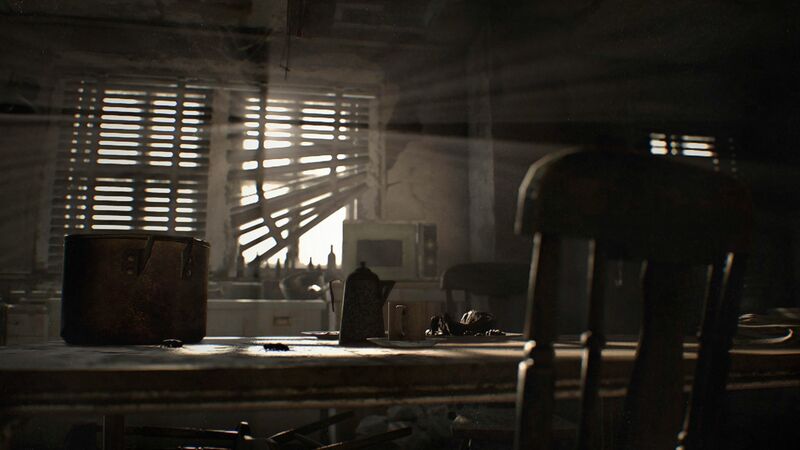 Pacing is one of the intangibles of game development and Resident Evil 7, with its frenetic peaks (orchestrated by a stirring soundtrack) and temporary lulls, is just about perfect. That progress is so pleasurable is due in part to a superb map, which opens in a millisecond and gives you a clear idea of where you need to go. A good map sounds like an easy thing to get right, but it’s far easier to get wrong, and a lot of games make progress a chore with a map that muddies the water and takes an age to load. Here, it couldn’t be clearer. Inaccessible doors are marked in red (to be opened later), accessible doors in blue, while undiscovered rooms are grey. Better yet, hand-drawn diagrams hidden in the world unlock a full lay of the land. That’s not to say you won’t get stuck. The Bakers are an omnipresent threat, as are other nasties you’ll encounter as you explore the depths of the home, but while there’s plenty to be said about the enemies – including one late-game antagonist in particular – I won’t go into detail. I think there’s a culture of giving away juicy details in reviews for the benefit of the writer, not the reader. 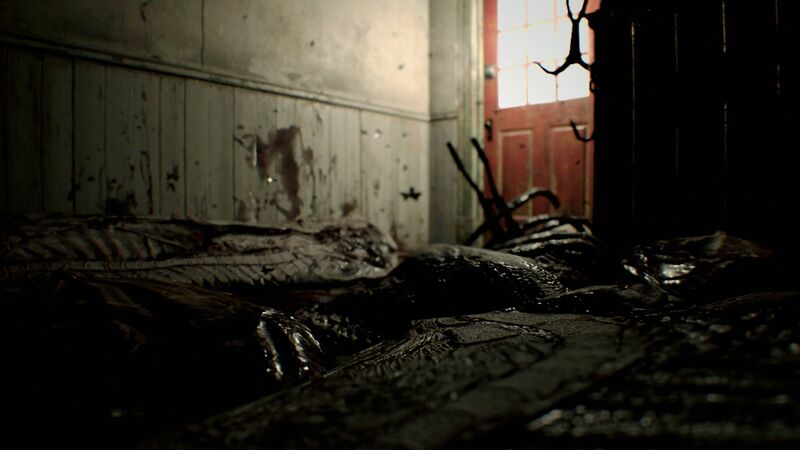 Resident Evil 7 is an experience you should enter blind, and I certainly won’t rob you of the novelty I enjoyed. Rest assured there’s a steady balance between puzzle-solving, stealth and combat. Stealth is an interesting beast. It calls to mind Alien: Isolation, where you’re pitted against a single threat that roams the area you’re in. It’s a cat and mouse game of the highest order, but becomes a game of guesswork. Have you been seen? Are you close to danger? You’ll often listen out for audio cues, but your own footsteps are so loud – no matter how slowly you inch forward – that it’s impossible to know whether your efforts are making a measurable difference at all. Even worse, you’ll often hit safety only to a trigger a scripted sequence that brings the threat right back to your doorstep. It feels like a cheap parlor trick and makes running for the hills as viable as sneaking. Combat is excellent, however, which is to say that it’s not slick – and for that I’m glad. Armaments and ammo are kept to a minimum; movement feels sluggish and combat takes place in close quarters where blood and giblets flash past the screen. There’s no HUD to speak of, making the immediacy of combat enough to take your breath away. Capcom cleverly limits the fidelity of your movements too, reinforcing the idea you’re a simple grunt, not some zombie killing machine. You’ll make every bullet count, and even when the guns get bigger, Resident Evil asserts a brand of guerrilla-style combat which feels right at home with the new first-person viewpoint. 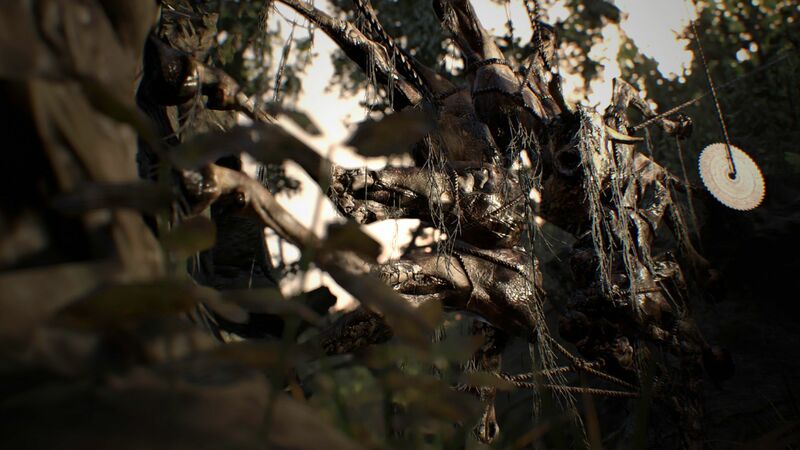 The switch to first-person is a bold move, but despite this, Resident Evil 7 feels like a true numbered addition to the series. Capcom must have agonized over the new additions but in the end they’ve managed to strike a perfect balance between new and old. The pared back HUD and new viewpoint make the game feel immediately immersive, but in time-honored tradition, there are nods to series tropes too. Herbs can still be consumed for health, boxes should be broken for the goodies they hold, text-based explanations flash across the screen describing objects in the world, save rooms return (one for every major area, and autosaving too) and there’s even the option of performing the quick turn, so often a saving grace in past Resident Evil titles. The difference is the level of focus. 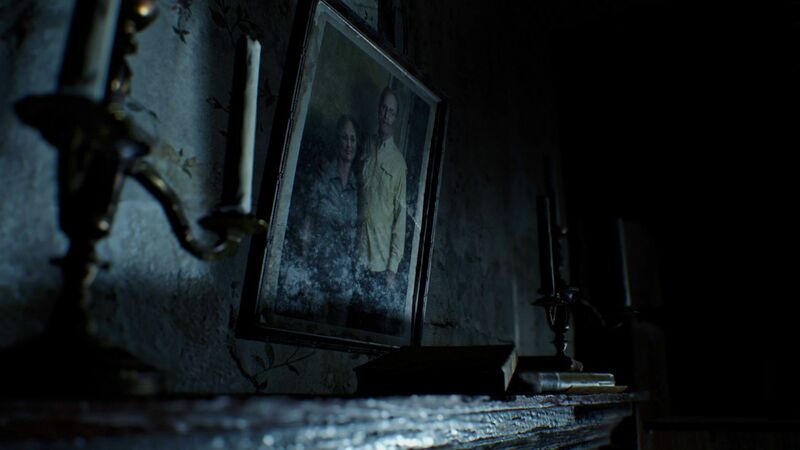 Any storyteller knows that subtlety is more difficult to manufacture than bombast and Capcom produces a personal tale that tracks your every waking moment, marking a true return to form the masters of horror. In years past, as ideas dried up, it became easy for Capcom to favor spectacle over substance, but by and large they’ve resisted the temptation here. By and large, mind you, because the story’s not perfect. In fact, far from it. Like a master performer who can’t help but show off his most famous tricks, Capcom can’t leave the stage without raising the stakes a little. As a swansong, they ratchet up the heat and suddenly the story of the Bakers and their questionable lifestyle has turned decidedly batshit crazy. If you’re a sucker for visual gluttony that makes your eyeballs bleed, you’ll likely be pleased, but as someone who believes questions are better left unanswered, I was disappointed. Despite this, I’m happy to give Resident Evil 7 a perfect score. Not because it’s perfect – what is? – but because it’s made with so much affection that you can’t help but dive in head first. It brings to life a startling world and proceeds to unfurl its horrors, laying down a marker for suitors to follow: this is how you make an audience jump. 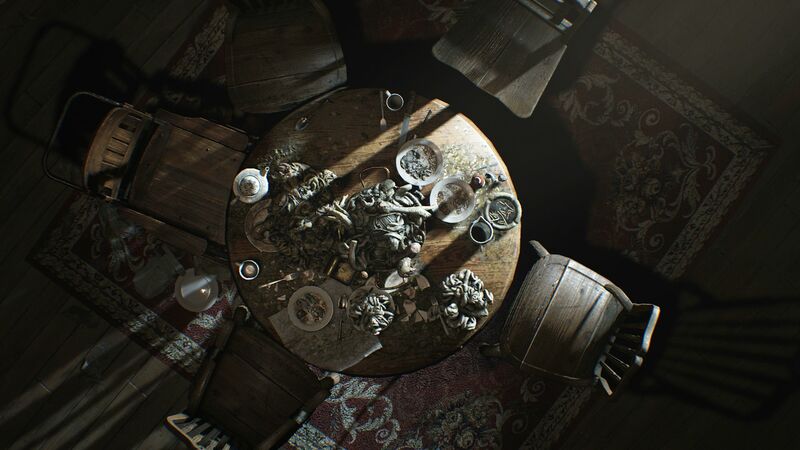 But more than that, Resident Evil 7 demonstrates a mastery of pure, unadulterated entertainment. This is how you make people sweat, laugh and cringe in horror. It runs the gamut of these emotions and it’s an absolute blast start to finish. Games are surely leading the way in modern entertainment and the old stalwart, new tricks in tow, is back to prove it.